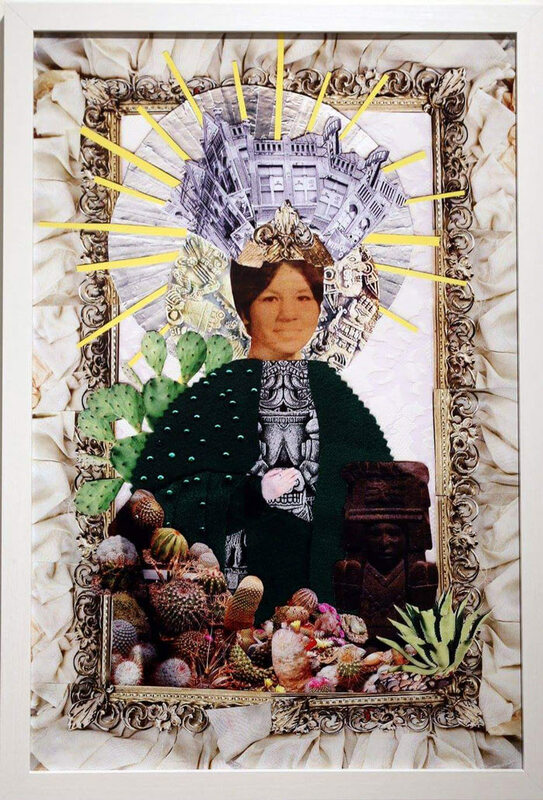 “Remedies for Re(membering)” are retablo-like collages that embody an emotional connection to what has been lost and found. These cultural deities of the earth and home intertwined with a narrative of violence and heartache documents a self-healing process. My hand covers the eyes of the human skull on Coatlicue’s belt because sometimes we resist new knowledges of insight into our trauma. My mother wears a crown made up of the Teatro Nacional to nostalgically speak of social spaces that provided cultural connections to our history and culture. My hands cover the breasts of Coatlicue because we are taught to be ashamed of our sexuality. My hand covers the mouth of Tonanztin because our indigenous traditions are silenced. 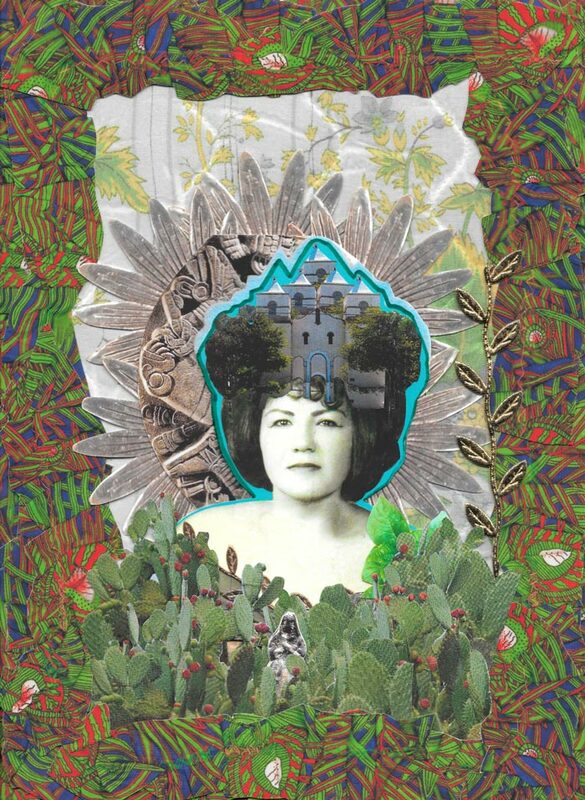 It is both a colonial contestation and a decolonial representation of what’s rejected and embraced; a self-reflective process using family photos. 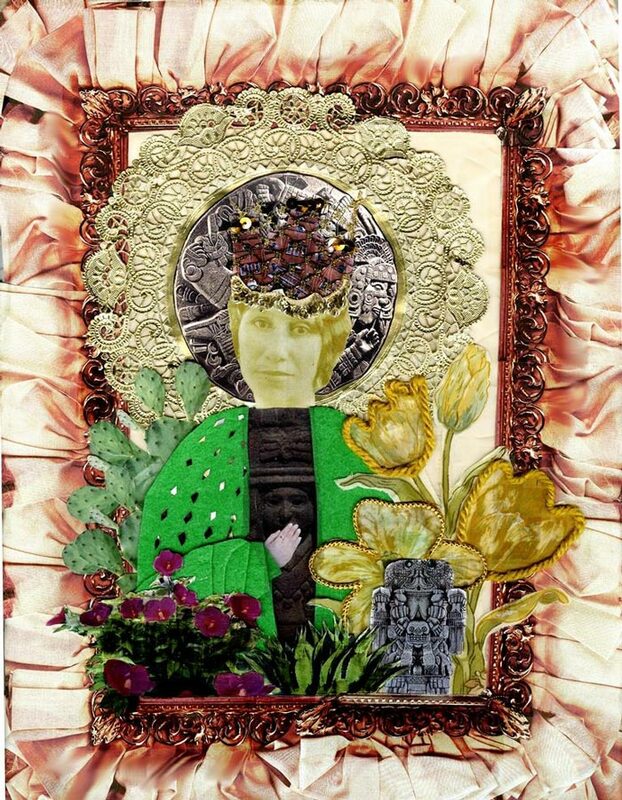 Sarah Castillo is an artist based in San Antonio, Texas working in mixed media and portraiture. 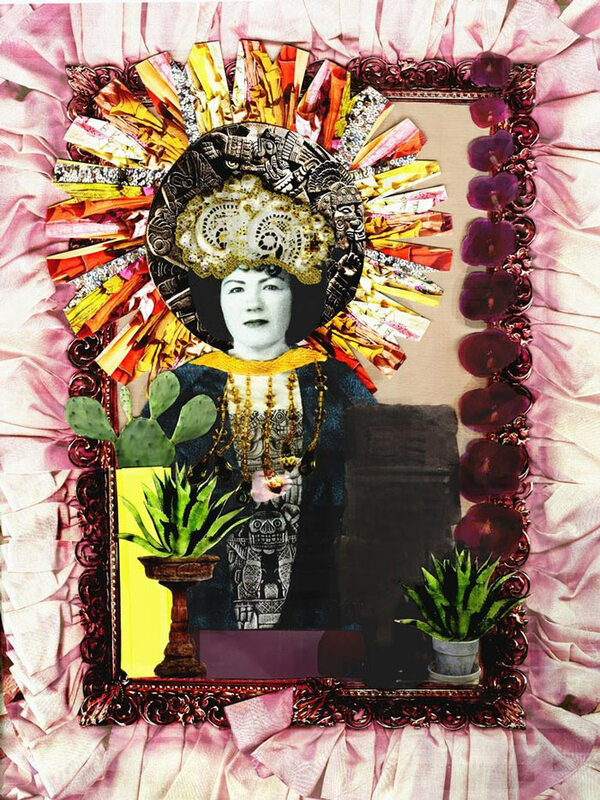 Born and raised in San Antonio, Castillo obtained her Master’s degree in Bicultural Studies from the University of Texas at San Antonio with thesis title: Art as an Embodied Practice: Artistic Expression, Conocimiento, and Identity Formation. She is co-founder of Mas Rudas Collective, Creative Director of Lady Base Gallery, and Resident Artist at Clamp Light Studios & Gallery. 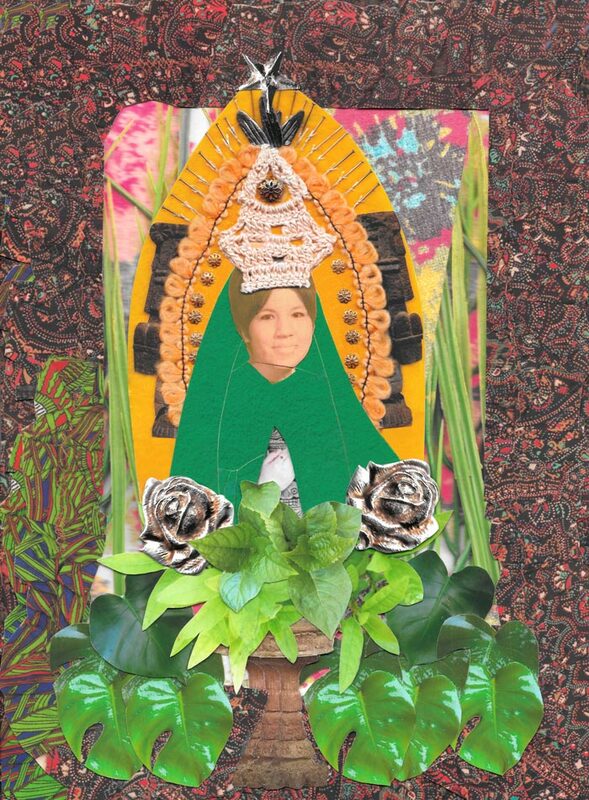 She has shown at the University of Texas at San Antonio, Artpace, Institute of Texan Cultures, Mexic-Arte Museum, and was selected for the IV Biennial with El Paso Museum of Art and the Museo de Arte de Ciudad Juárez in 2015. She was recently awarded a grant from the National Association for Latino Arts and Culture in 2016.